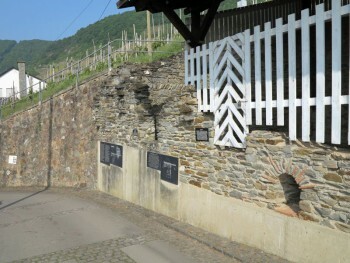 The municipality Piesport always belonged to those towns of the Moselle Valley that could look back on a relatively early tradition of vineyards. 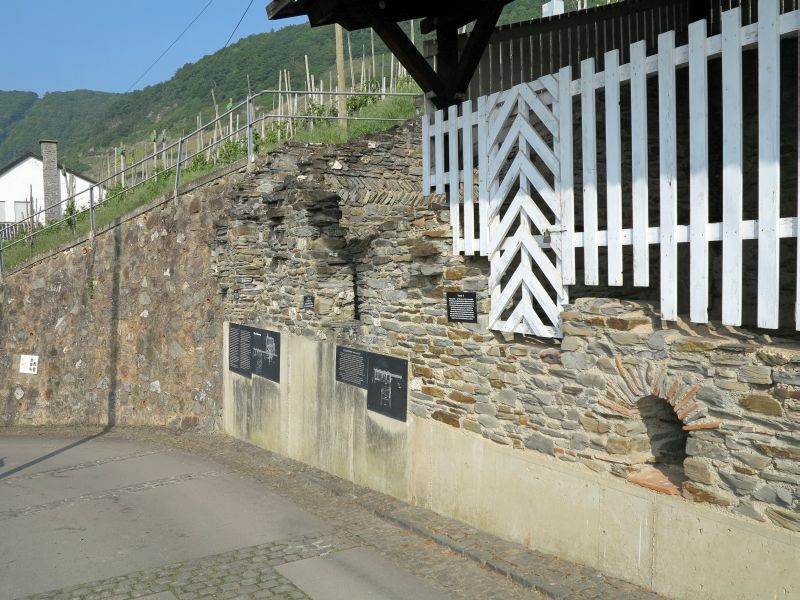 According to this source, which is dated to the year 776/777, a certain Walac the Prümer bequeathed, among other properties, two small vineyards on the Moselle, in Piesport: “… vineolas duas super Fluvium Mosella (!) ad postage pigontio…” to the Abbot Assuerus. 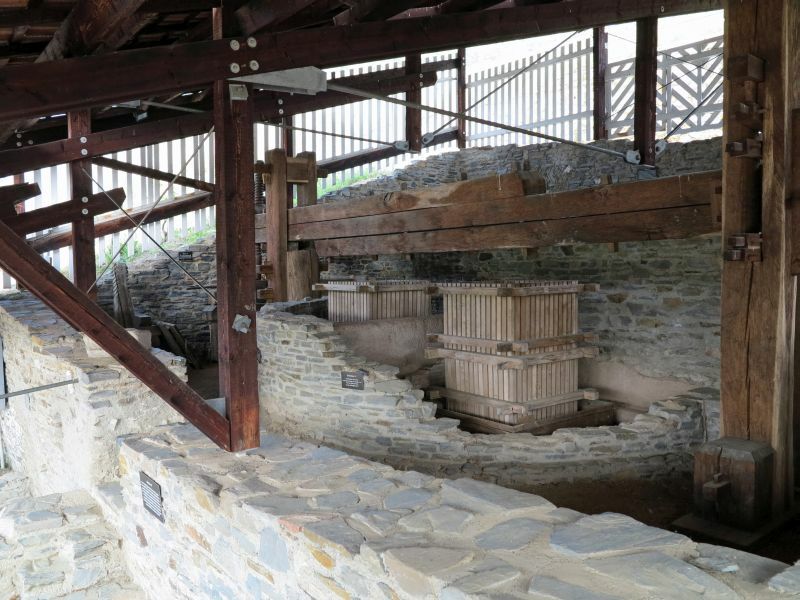 In 1985 a lucky new find not only confirmed of this document, but also archaeological evidence that wine was processed in Piesport since the 4th century CE. 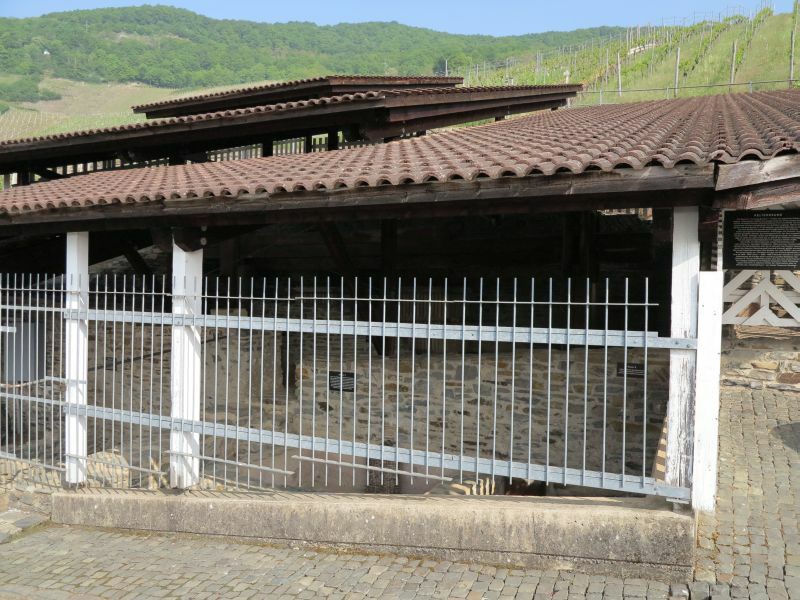 During extensive studies by the Rhineland State Museum, done on the western outskirts (meadow “In Briesch”) in the years 1985/86, evidence of more than ten rooms and seven pools or tubs of a larger Roman wine press could be produced. The continuously extended building covers a width of more than 44 m and a depth of at least 20 m at the most. 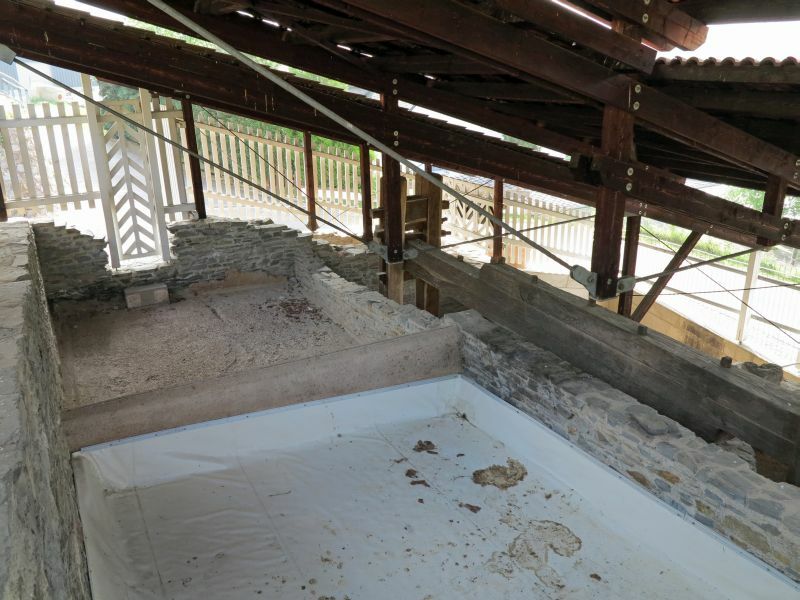 The front of the building complex could not be completely studied, as it probably reached down to the banks of the Moselle originally and fell victim to recurring flooding in the post-Roman period.